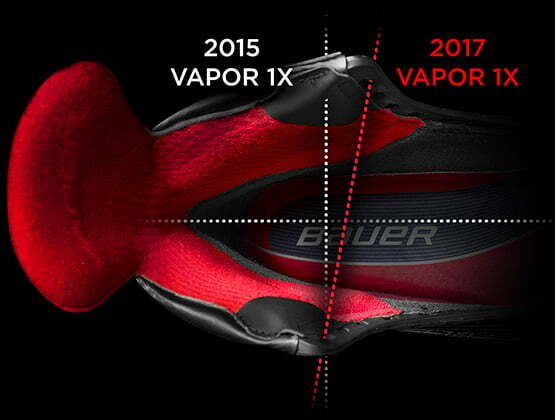 Bauer S17 Vapor 1X Junior Hockey Skate | Sports Etc. FLEX-LOCK PRO Tongue: The thermoforming inserts create a locked fit with forward flex providing the protection, fit and flexibility to fly. LOCK-FIT PRO Liner: Keep your foot dry and locked in place for maximum agility and acceleration. 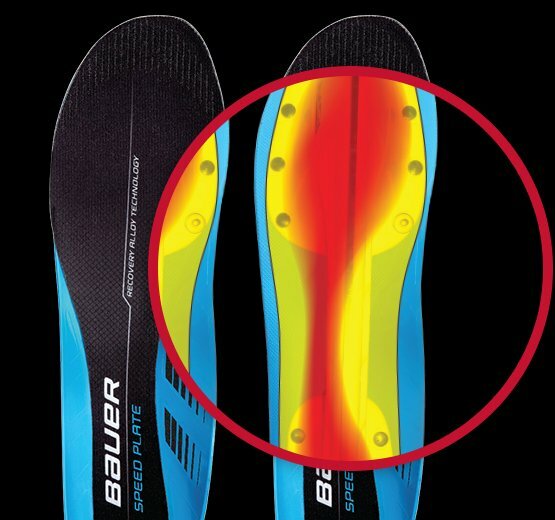 LOCK-FIT PRO Facing: Through both an additional lace lock and a softer flex composition, the 1X injected facing locks in your foot helping you lock in speed. ASSYMETRICAL FIT: realigned boot’s quarter patterns and padding to match the natural ankle position, giving you added medial support while maximizing flex. LIGHTSPEED EDGE trigger system makes swapping out dull steel quick and easy. LIGHTSPEED 4 EDGE runner. Designed with an additional 3mm in profile height, players will have a greater angle of attack for increased agility. 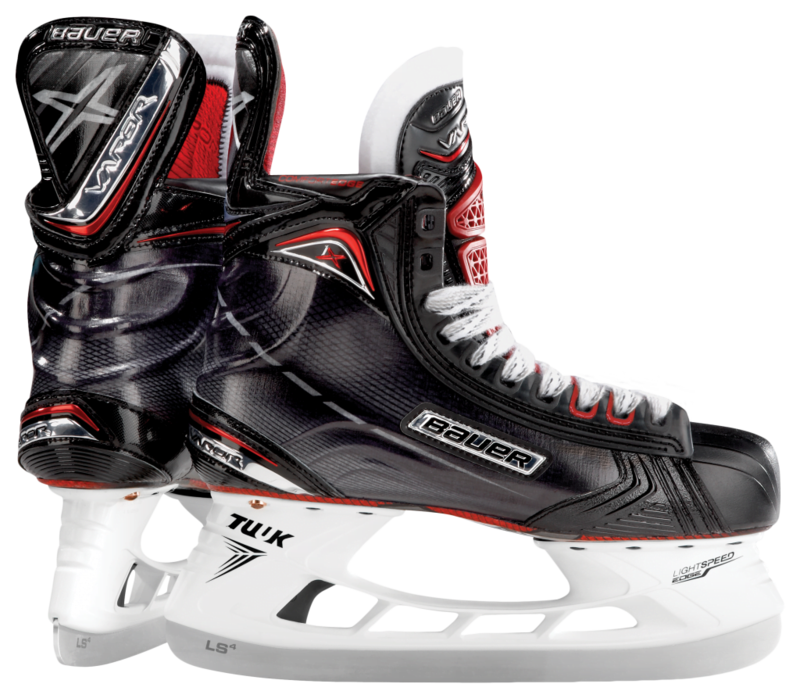 Sports Etc Performance To Value Rating- 9 out of 10- The ultimate lightweight performance skate for someone playing at a competitive level.